Analyses the styles: The major benefit of handicapping a MMA tournament is that we need to focus on the playing styles of the two players only and not an entire team. 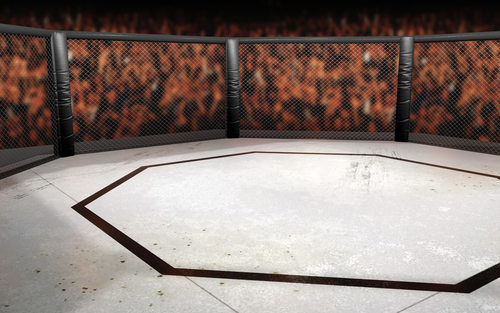 Our handicappers mainly refer to the previous footages of MMA tournament to study the playing styles of these players. Like boxing, football and hockey, MMA also involves offensive and defensive styles. After viewing these match footages we provide valuable inputs to the clients. Players having offensive styles are bound to progress in the subsequent levels to have an upper hand in the competitions. So we always suggest our clients to place bets on such players having offensive traits in dealing with his opponents. Defensive playing style can yield no surplus profit for the bookies because players will defense the heavy punch and kick of his opponents to earn some points to exit from the tournament. Current performance: Our handicappers focus on current pre-season performance of each player before arriving at a suitable conclusion. These pre-season matches serve as a mirror for our handicappers to accurately predict the scope of the competing players in the high profile MMA tournament of USA. Clients are advised to place bets on the god performers but we also recommend them to invest certain portion of their amounts on the debutant players for they may change the atmosphere of the tournament with their surprise performance. Our study has found that many new players who performed badly in pre-season matches often turn out to be the possible contenders for the title. Time taken to subdue the opponent: Time is an important factor in this sport and our handicappers conduct a thorough study on the time taken by the players to crush their opponents in each round of the game so as to register their thumping victory in the tournament. We suggest our clients to invest betting amount on players taking less time to defeat their opponents for enjoying surplus profit in the long run of the tournament. Many experienced players do take much time to tackle their opponents while some debutant players do take lesser time that their predecessors. So we suggest our customers not to be lured by the star status of the players but to focus on its timing for placing the betting amount. Fighters coming after long layoff: Our handicappers while assessing the prospect of any particular player in the upcoming high profile tournament always bend on obtaining private information like pre-season training, diet, practice performance and other such related information from the support staffs and coach of such player to provide valuable inputs to the clients. We always recommends our clients to invest enough amount on players having good pre-season training because that guarantees wining the possible betting amount in the subsequent progression of the tournament. We advise clients not to focus on star players while investing their amount on the contrary we ask them to focus on pre-match training of the players to win considerable amount of money. Confidence level: Like other sports, MMA handicapping also involves to have a proper insight in to the confidence level of the players irrespective of star status. Our handicappers do provide sufficient information on the confidence level of the players while suggesting appropriate betting amounts that can be invested in such sport. To provide specific information we mainly work on the previous match footages and also obtain private information from the coaches and support staffs of such players. Our study has found that players performing after a long time gap tend to become nervous while playing in the first match of the knock out tournament. On the other hand many debutant players due to high motivation are confidence enough to face their veteran opponents with scintillating performance. So we advise our clients to invest on such players keeping this X factor in mind. Punching power: Our handicappers do take this fact into consideration because punching power does create an impact in defeating the opponent in the knock-out stages of any high profile tournament. To obtain more information we mainly rely on our private informers to provide valuable inputs on the punching powers of the players that may create an impact in the match. Based on such facts we advised clients to place their bets on players having higher punching power to win sumptuous amount in every stage of the tournament. Hard hitting punches have forced veteran players to early exit from the tournament and so it guarantees surplus profit for the bookies. Being a leading firm in this industry it is our responsibility to serve you with accurate predictions for enjoying surplus profits in every stage of the tournament. We help you in selecting the appropriate players that can fetch you highest possible returns. If you are not satisfied or have suffered considerable loss from our handicappers you must let us know for quick compensation. Our sole priority is your satisfaction and hence you can send your feedback suggesting further scope of our service improvement to fulfill your requirements. We guarantee you next time you knock at our door you will be presented with unique service quality. Our service charge is affordable and for more information you can log on to our website.